It’s been months since you submitted your book proposal and the mail you received today is almost a relief after all the silence. No. The press to which you offered your book (and in which you invested hopes and dreams) says ‘no’; they do not want to publish your book. No solid reasons given. You are not sure they even looked properly at the darn thing (but they do say ‘sorry’ in a nice way). It takes more than time to write a book. It also takes courage, stamina and self-belief, all of which may leach away in the face of (constant) rejection. And, let’s be clear, rejection is the norm. The spurn rate is much higher with journal articles (many journals rejecting as many as 95% of the articles submitted) but the norm is rejection for a book manuscript, too. Luckily, there is (or should be) more than one press or journal to offer your work to. How then to react to rejection, and to move on positively? Of course, ‘no’ can come in different shades of black. 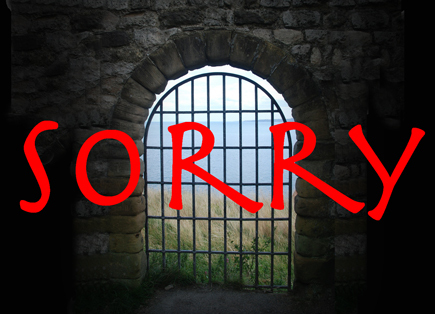 Sometimes the rejection will not be outright; you may be invited to ‘revise and resubmit’. If so, you may enter a process of ‘acceptance creep’, a period of dialogue during which you revise your work to meet the publisher’s requirements. In essence, you have a tiny toe in the door and over time you can work and wiggle to get first a foot in the door, then a leg and finally all of you – of your book – through to the sunny side of publishing. However, if you have received a blunt ‘no’, then you need to move on; there is little point arguing with the publisher. Rather, be pleased if the publisher chooses to tell you in any detail why your book has been rejected; such feedback is invaluable. On the basis of the knowledge of the industry, some publishers also helpfully suggest alternative presses which they think might be interested in your work. If that publisher’s rejection is final, pause a moment. Do not immediately rush off and submit your manuscript to the next publisher on your list. Reflect on the likely reasons that your proposal was rejected. Was this publisher indeed the right one for your book? Was your approach to them handled correctly? If not, what can you learn from this? Was there a problem with the peer review process? It is not unknown that a scholar’s work ends up being judged by a bitter enemy, for instance, or one approaching the topic from an entirely different standpoint than the author’s. Knowing this won’t improve that reader’s report but it will help you face others in the future. Is there something wrong with your text itself? On a sliding scale of fixability, common problems are shoddy presentation/spelling, bad writing and poor scholarship. Is the big problem financial rather than content? For instance, is the readership/market judged to be too small or will your book be too expensive to produce? Or is it (simply, sadly) that you personally are the problem, your authorship isn’t believed in? Only if you take this time to ask the cruel questions – asking exactly what went wrong – can you move on and do something effective about it. Otherwise in all likelihood you are condemning yourself to another round of rejection. How ever much the rejection hurts (and you may want to shrug the whole thing off as a bad dream), for the sake of your writing career you need to be decisive in response. You have several choices, depending in part on what the original problem was. You can abandon the whole thing. This is clean and simple but a drastic, wasteful decision if you have spent months or years working on the book. At the very least, salvage something from the wreckage (the makings of a couple of journal articles, for instance). You can simply resubmit/argue the merits of your proposal to the same publisher. People have succeeded here but personally I think it is a waste of your time and of your creative/emotional energies. More productive instead is to find/approach another publisher. If so, however, then you need to find out in what ways the new publisher is different from the first. What effect will these differences have on your revised proposal? In other words, will you ‘sell’ your proposal to the new publisher any differently? At the same time, you should ask yourself how generally might your proposal be improved, no matter which press you approach? But a quick response may not be possible; you may need to rework the book (or at least rewrite the book concept). In this work, any critical feedback you receive from earlier rejections (e.g. from readers reports) can be worth gold. Improving the economic prospects for the book might be all that is required, of course. Publishers invariably say that subventions don’t affect their decision-making but that is nonsense; of course they do – at least in instances where there is no issue with the scholarship but rather the likely production costs are too high (say, with a book full of colour pictures) or expected sales are too low (the market is too small). In such instances, a publication grant can make all the difference. Indeed, let’s be clear: there are some publishers whose entire business plan depends on such funding (and here I don’t mean vanity presses, either). Finally, you may decide to self-publish. Received wisdom denies any place for self-published academic works (let alone recognition in job and funding applications) because of the lack of peer review. However, the ground is shifting here; we are seeing experiments with ‘soft peer review’, the rise of collaborative writing based on the Creative Commons approach, and other developments resulting from the rise of the internet. That said, self-publishing is not something to venture into lightly. There are many issues and considerable costs or extra work involved, as can be seen in my series of posts dealing with this issue. In short, you need to gather as much hard information as possible and then do some hard thinking. But, hey, you are a researcher. Isn’t that precisely what you have been trained to do? The Biblical observation that men do not hide their light under a bushel but raise it high to light the whole house applies equally to the work that already has been done on your manuscript and the work still to come that will transform it into a book. The purpose of the editing, and indeed of the author revisions preceding it, should be to polish the text and ensure that it communicates its meaning. But thereafter the book design and subsequent typesetting become hugely important – if content is king, it should be dressed accordingly; the book design should illuminate the contents, not obscure them. Time and again, publishers fail to heed this imperative and the result can be that a major work fails to gain the recognition it deserved. I still regret one such instance in my career when, due to my failure to keep the author in check, her opus magnum ballooned to an alarming number of words and illustrations. I also designed the book and at first glance it was beautiful. Even so, it weighed in at over 500 pages, a hundred more than it was first announced at. The book went on to almost win an important book prize; arguably it should have won. For me, however, the moment of truth was feedback from Winnie, a trusted Singapore colleague, who complained that she had tried several times to read the book but ‘got tired’. Was it the design? I believe so. The font size was too small; the number of characters per line was way over the 65 that is the golden mean (more like 89). The result will have been eye strain for many readers. In a nutshell, there was a readability issue. Probably, the book should have been 600 pages long – or edited more assertively. This is just one way in which a bad book design can get in the way of readers fully appreciating an author’s argument. A layout that is ugly or boring is just as bad, likewise one whose text uses fonts that are unsuitable for extended reading. Also problematic is a book size that is unhandy (too big or too small, awkward or tiresome to hold, etc.). Many readers will struggle with a bad book design (often unconscious of what is bothering them) if they consider the contents important enough. Here, however, the presumption is that the work is to hand. But what actually ensures that a reader buys or borrows a copy of your book? Is it the contents? The marketing? Actually, in many cases, what sells a book is its appearance, its initial impact, something that briefly attracts the reader’s eye to that book and guides her hand to take it off the shelf. Once a copy has been sold, it’s quite different; what you say becomes more important than appearances. But – for a brief moment – the look and feel of your book is paramount. Content may be king, but design is the queen who by appearance attracts the most initial attention. … the cover is really important for a book yet some publishers do not pay sufficient attention to this aspect of book design, preferring simply to make it conform to a series or even publisher style. Often there is no information about the book anywhere on the front or back cover beyond printing the main title and author’s name. Often there are no unique graphics on the cover and no endorsements or short summaries on the back cover to entice a reader in. Actually, I rather suspect that the publisher’s behaviour is largely shaped by the expectation that nearly all copies sold will be to libraries, and they tend to buy on the strength of the book description, the price, etc., not on the book’s appearance. However, with the continued collapse in library market sales, such a policy seems rather short-sighted. Like it or not, bookshops and individual book buyers matter, and that means that the cover matters, indeed design matters. Sounds like it time that you meet the designers. Oops! Before launching into several posts dealing with design and typesetting (starting with the importance of design), it would be smart first to deal with another burning issue: the kick-starting of the marketing/promotion of your book. Promoting your book is a huge endeavour that I’ll cover in a series of posts after we have finished discussing the production phase. However, at this point (at the end of the editorial thread) it’s probably a good idea to describe the beginning of that promotional process – the announcement of your book – because this is something that happens really early and demands your participation. Perhaps it doesn’t seem a big deal to announce your book but in fact there’s a lot involved. Moreover, a proper announcement is crucial to a book’s subsequent success. Your publisher’s sales and distribution network. Warehouses need to load details of your book on their system so that orders can be taken and shelf space planned for. Whereas warehouses care only for accuracy, sales representatives prefer their information in headlines and punch lines. Sales reps often only visit bookshops every six months hence early notice of new titles is imperative. The same imperative applies for your publisher’s distributors and agents around the globe but they need far more information and packaged in a specific way. Bibliographic data providers. When you order a book from a bookshop, they will do this using information purchased from companies like the UK-based Nielsen BookData and US-based Bowker. If (like Amazon) they have an online catalogue that you can browse, this too is built using such externally provided data. Libraries rely on similar information. As such, if your book is to be visible to bookshops and libraries, then its details must be provided by your publisher to these bibliographic companies. Booksellers. If a bookshop is to stock copies of your book at publication, then it must budget for this purchase (and perhaps plan on where these copies will be displayed). Typically, books are ordered at least three months ahead of publication. Bookshops thus need their information early, briefly, and in a highly standardized format. Wholesalers. For bigger-selling titles, many bookshops are likely to order stock from wholesalers rather than individual publishers’ warehouses. This way they can consolidate orders and maybe command bigger discounts. The warehousing needs are the same, of course. The mega-sized warehouses of these wholesalers need to load details of your book on their system so that orders can be taken and shelf space planned for. Library suppliers. Until recently, library suppliers sent out bibliographic information to their library customers on CD. This required a lead time of six months. The timeliness of data has greatly improved with its online provision but the library purchasing cycle still demands early advice of new titles. Because libraries generally work on an annual budget, for library suppliers it is crucial that a book is received and paid for in the correct year. Libraries. Not only do libraries want information early so they can plan their budgets, but also they want much greater detail. This is because often the purchasing decision is made by a specialist in the subject and, once made, is normally irreversible (libraries do not have the equivalent of the sale-or-return right enjoyed by bookshops). An advance information sheet, sent to key customers as soon as possible. An entry in your publisher’s next catalogue (and those of its international distributors and agents), though it may be months before these catalogues are produced and disseminated. Brief details on your publisher’s website, loaded immediately (though not by all publishers – strangely, I feel, some publishers display no details on their website until the book is out). Bibliographic data, sent individually and directly to Nielsen BookData, Bowker, etc. before any information goes out to potential customers. Timeliness of the announcement is of essence here. More customized and targeted marketing of your book will follow (more about that in a few weeks time). I’ll return to this material and your involvement in its production in a few weeks time after finishing the different threads on book production. Meantime, back to the posts on design and typesetting. Why do publishers hate edited volumes? Not all publishers hate edited volumes; I don’t. But there are compelling reasons why publishers are reluctant to consider accepting an edited volume when offered it. Number 1 reason: the conference proceedings. In the ‘good old days’, it was common to produce a proceedings volume as a tangible result of a conference (otherwise an ephemeral event) but generally the number of copies were limited, often only going to the participants. As part of the hyping up of the academic world that we have witnessed these last few decades, there has been a push to give these proceedings (and their conferences) more weight by their publication as ‘real books’. For a while publishers were happy to produce and libraries to buy almost anything that moved. But then came the collapse of the library market (described elsewhere), a growing global rash of conferences and a glut of often incoherent volumes edited by hapless conference organizers with few clues about editing books. And the result? There are a few publishers whole entire raison d’être seems to be to publish tarted-up conference proceedings, and they look to do well in this line of business. But, today, many publishers will not touch edited volumes even with a barge pole, while a lot of others are deeply mistrustful of any multi-author volumes offered and will run a mile if mention is made of an originating conference. Which is a great pity, actually, because there are also compelling reasons why publishers should consider accepting an edited volume when offered it. Moreover, edited volumes can offer cross-disciplinary insights that a single author would struggle to find. There are, indeed, examples of excellent collections where the collaboration of many minds on a single subject, perhaps from different disciplines, brings about real breakthroughs. Such outstanding works often suffer, though, from the general taint attached to edited volumes. In other words, do not despair if you are being pressured by the departmental mandarins to edit a ‘book of the conference’ in order to justify their funding priorities and events programme. The experience need not be bad. Indeed, there may be very good reasons to offer yourself as editor. Editing a book could be a way for you to build your academic network and gain name recognition in a wider circle. You might feel that your field needs a collaborative volume on a particular subject, and that there is nobody else who can make it happen, or happen well. Perhaps you have to offer a route to publication in order to attract good contributions to a workshop or conference you are convening. Or maybe it is just simply your turn. But, if your editing experience is to be positive (even an outstanding success), then you do need to approach the task in certain ways to maximize such success. How? That is the subject of a later post (or read these pointers now in Chapter 4 of our book). Like everyone else (and especially like their authors), publishers want to be successful. Just how they get there is another matter, one that baffles some authors and leaves others enraged. Perhaps the best way to approach this, then, is to understand where publishers are coming from and where they are going to. There has been a dramatic decline in library sales, the bread and butter of academic publishing, in part due to rising periodical subscription charges and IT costs swallowing bigger chunks of libraries’ budgets. Sales to individual scholars have also fallen, in part because too much is being published (thus hard for scholars to maintain comprehensive, personal libraries). No significant new source of income has yet been tapped. Falling sales have prompted publishers to raise prices causing further falls in sales. The recent global recession has seen universities cutting back on their funding for their presses (indeed, some university presses have been closed or sold off in recent years). New print-on-demand (POD) technology is allowing single-copy printing but, though this is excellent for reprints, it is not cost-effective for quantities over 300 copies (and for most books an initial printrun under this amount is not commercially viable). The POD revolution may lead to on-demand ordering/printing for consumers (e.g. using the Book Expresso machine described here), leading to the death of the traditional bookshop and end of the current global book supply chain. There is a proliferation of e-book readers, none of them particularly good yet in terms of reading for extended periods of time but the likelihood is high of an ‘iPod moment’ in e-publishing within the next five years. Hopes of new income from electronic sales are driving massive investment in e-publishing but economic returns to date have been negligible (and, worse, this development undercuts the status of the printed book, currently the prime revenue earner). Demands from funding agencies for Open Access is pushing publishers into offering free electronic content but a viable business model for this is not yet in place. Copyright, the bedrock of the publishing business model, is under attack from several quarters, not least because it is seen as incompatible with the internet and e-publishing revolutions. Some of these developments will have a huge impact on the future shape of publishing and already today they shape publishers’ perceptions and expectations. marketing (focused on financial returns). These divergent interests interact, not always coherently, nor to the benefit, comprehension or sanity of the author. Cost cutting, outsourcing of especially production work to outsiders, and increased workloads and stress for remaining in-house staff. The rising power of marketing departments and corresponding decline in the power of editorial staff to decide what is published. Editors must take the bottom line into consideration when signing up a new title. Each new book project must stand or fall on its own merits (far less cross-subsidization). Demands for author subventions are more common. Greater aversion to financial risk, hence to taking on book projects that look commercially unpromising or expensive to produce. A far greater proportion of book proposals and manuscripts are rejected. A big increase in the number of ‘crossover’ titles (of interest beyond an academic readership) and interdisciplinary titles. Greater willingness to publish purely commercial titles (aimed at the general public) with little or no scholarly value. Reluctance to publish highly specialized studies. Reluctance to publish edited or multi-author volumes (more about this in a latter post). More ‘fad’ and ‘me-too’ publishing as publishers seek to emulate the successes of their competitors. Publishers want to publish only books that will succeed. This has important implications for what book projects are viable, and hence for how you formulate and develop your book project, find its ‘right’ publisher(s), and pitch it to them. Once a book proposal *is* accepted, the publisher wants the book to succeed. This requires full commitment from publisher and author, and no half measures from either side. Your publisher expects you to deliver the manuscript that was agreed upon (and contacted). If different, make sure that the manuscript is far better than promised (and accept that this is not something for you alone to judge). At all time (not just after publication), the publisher wants you to tirelessly promote your book to its widest possible readership, especially by utilizing channels and contacts not available to the publisher. All the rest is detail. Due to technological developments in the last 25 years, it is far easier today for private authors to prepare, typeset, produce (in printed and/or electronic form) and promote their own work – in other words, to dispense with the services of a publisher altogether. Easier, but not easy. Self-publishing is not something done in five minutes nor is it about saving money (though an attraction for some authors is the potential to earn more by getting a bigger cut in sales). If you are venturing down the self-publishing route, be aware that you can face a lot of work and considerable costs achieving your goal. That said, what you face here are different trade-offs: between doing the work yourself and hiring someone else (the subject of my next post), and between producing a high-quality product and turning out something that is (and can look to be) done on the cheap. Obviously, the publication format (discussed in my previous post) also has a huge effect on effort, costs and which skills are required. In the costs stated below, $ = U.S. dollars. These rates are approximate and based on charges I have encountered for hiring freelancers. But they may also be close to the fees charged by the author-pays presses discussed in my next post. Whichever format you settle on, there is editorial work to be done first of all. Anything that you put effort, money and your name into demands respectful treatment. This means that the work you eventually publish – whether in printed or in electronic form – is a coherent piece of scholarship, written tautly and without typos (though in my experience completely avoiding typos is probably impossible). Therefore, once you have finished revising the text to your satisfaction, it needs to be scrutinized, to be sweated in an editorial purgatory, so that what actually is published is to the satisfaction of your readers as well. This is vital to the success of your work. There are two kinds of editing involved: substantive editing of your text, focusing on its structure and argumentation, and copy-editing of your finalized (maybe restructured) text, focusing on its language – e.g. finding any typos and inconsistencies – and ensuring that it complies with accepted conventions. (You may find it useful consulting a publisher’s house style; many – like that for NIAS Press – are freely available on the publisher’s website). Doing this editing yourself requires superhuman detachment from your text; most of us lack this. As a substitute for substantive editing, revisit the readers reports commissioned by the publisher(s) who rejected your work, if you have them, and seek feedback from colleagues capable of commenting fairly and fearlessly on your work (they are often hard to find). And, as for copy-editing, try to recruit your life partner or best friend – or, better still, one of those special people (often your departmental secretary or a maiden aunt) with the uncanny gift of spotting other people’s errors at fifty paces; sadly, all too often, such geniuses only spot these errors after publication. Most scholars using Microsoft Word or another word processor think that this is all that is required to lay out the final pages for printing. This work is definitely something they can do themselves. Think again. The design (or layout) of your book and the typesetting of the actual pages is skilled work that only really succeeds if it is invisible. Laying out a book using a word processor is a particularly vicious form of torture. Word, for instance, may be full of features but things like the subtle adjustment of line and letter spacing are beyond its abilities. ensure that all of the elements of a book are present and organized correctly (e.g. the copyright page is on page iv). determine the likely extent of your book (so as to avoid unpleasant surprises – see my later post for a detailed explanation and instructions on how to calculate book length). Alternatively, you can hire a freelance typesetter to worry about all of these and many other issues. It is common to pay either a flat fee for the entire job or on a per-page basis (typically $6-$10 per page but inclusion of illustrations, colour, non-Latin text and other potential hassles will undoubtedly drive the price up). Text corruptions can happen when a Word file is converted for typesetting, without this being picked up by the typesetter. For example, recently I converted a Word file to plain text, then brought it into a web page that I was making. Only at the last moment did I discover that all of the superscript ‘th’ letters (in usages like ‘19th century’, which Word automatically converts to superscripts) had vanished. Here, sharp eyes are needed. Yours are free but have they already looked at the text far too often to notice all the errors and last remaining typos? A proof-reader will cost you $2-$5 per page. No scholarly book expecting to be taken seriously (and bought by libraries) can omit an index (though it is another matter how ambitious your index is). Good indexes are tricky to prepare. Please feel free to consult our indexing guidelines on the NIAS Press website. The rates quoted to me by professional indexers have varied wildly – $2-$20 per typeset page. Many publishers won’t let their authors get anywhere near the cover design, so crucial is it regarded to a book’s commercial success. Now you are responsible for producing something that doesn’t immediately scream ‘amateur’ to every bookshop you approach; what is needed is a cover that whispers ‘pick me up’. It must also meet certain technical and legal requirements (e.g. meet printers specifications and include a bar code). The problem is that you can get a cover designer to do a proper job for about $500. But, if your book is to overcome its self-published origins in the nasty book world out there, then your cover needs to be inspired. This is not something that you can do yourself; you are going to have to pay someone else to print your book. Printing used to be the big barrier to self-publishing because with lithographic printing a minimum of about 1,000 copies of a book had to be printed. This required a huge investment (and a lot of spare space to store the books). Nowadays, however, the digital printing revolution has brought numbers down to single-copy printing at acceptable prices (and of an acceptable quality); self-publication of printed books is now within the reach of most budgets. If you use an internet-based POD printer like Lightning Source, then you will be guided through the complexities of printing but will need to rigidly conform to their specifications. Set-up charges may be $75 and then you must pay for each printing order, each page printed and shipping (with a 300-page book costing you about $7 per copy), and often an annual file storage charge of $10-$20 charged. If printing quality is an issue (because of the importance of your illustrations, for instance) and you have the belief and budget to print a minimum of 400 copies, then you are likely to get a better deal, better quality and much more human treatment by approaching a short-run printer. But be warned. ‘Real’ printers can be funny blokes; theirs is an utterly different world than yours. Many of the things that you find crucially important, they will find incomprehensible – and vice versa. You can of course avoid the perils (and costs) of printed publication by going down the e-route. (This option was discussed in my previous post.) However, I would suggest that you will still need to typeset your e-book and, while you avoid dealing with printers marks, bleeds and all such arcane stuff, instead you will need to meet the requirements of e-books (introducing hyperlinks, for instance). Be aware that PDF is not the only game in town (there are over 20 competing and incompatible e-book formats) nor is a computer screen necessarily the only display medium (the Amazon Kindle and iPhone being two other major destinations for e-books). If you would rather have a professional guide you through the e-jungle, the journey may cost you thousands and thousands of dollars. An alternative to a proper e-book is to self-publish your work on a website (or even as a blog, wiki or via another Web 2.0 channel like Twitter). Though feasible, the divergence in form of a ‘proper book’ is now so wide that increasingly you will find it hard to gain any recognition for this work. If you can do all the work yourself and have free access to/use of your institutional website, then web publishing can be almost cost free. If you set up your own website, of course, then you will have to pay small but ongoing charges for the URL registration/maintenance and for a web hosting service. Bare-bones blogs like this one are free to set up and run. It is not enough to produce your book; you also need to bring it to the attention of its potential readers. Many books have been written on this subject and this blog post is already much too long. Suffice to say, you will need to draw upon all of your hustling skills to bear. By all means produce a flyer, issue a press release, buy advertising space in and send review copies to appropriate journals, and cold-call different bookshops – all the sorts of things that publishers do. But the best use of your time will be to exploit your own connections, to reach out directly to other scholars in your field – via notices to mailing lists and attendance at conferences, for instance. None of this is easy and I seriously doubt you can afford the services of a publicist. Traditionally, getting copies of your book into the hands of readers and getting them to pay for it has been a huge problem with self-published books. This remains so if you are only looking at the old sales channels – bookshops, library suppliers, etc. – who remain suspicious of book trade outsiders. Likewise, it is difficult to sell directly to libraries as these prefer to order and pay in bulk via a library supplier and try to avoid dealing with individual publishers. But the internet revolution has opened up whole new possibilities to reach the individual reader, your prime target. Today, it is possible to sell your book directly via Amazon Marketplace, eBay, Abe Books, etc. or indirectly via one of the above-mentioned author-pays presses. And, while it is still not cost-efficient to accept credit card payments directly from individual customers, nowadays internet-based financial services like PayPal make this relatively easy. Amazon, PayPal and the others will charge you for their services but the commission is not a lot. It is even possible for you to handle all aspects of sales, not just the dispatching of orders. This would be by having a website with an inbuilt retail module (shopping cart, payment processing, etc.). However, such an advanced website would not be cheap to develop; it would also be a bit of an overkill for the sake of a single book. For many countries, this list is much longer. This has been a very long post to write and yet the above points are not the only ones you need to consider. Moreover, space requirements – and a crass desire to sell more copies of our book (which includes perhaps twenty times as much information as found here) – have limited how much detail is included in the information presented here. But now, decision time is looming. There is just one more thing to ponder, just who is to do all this work: you, a freelancer or a author-pays press? This is the subject of my next post. Have publishers any role or purpose today? As related in an earlier post, today’s publishers have their origins in the printers who sprung up in the wake of the Gutenberg revolution. While they may have been hired by gentleman authors to produce, print and publish the latter’s works, it is clear that these printers were not servants; rather they were entrepreneurs at the forefront of developments leading to the industrial revolution and rise of capitalism. In retrospect, the subsequent rise of publishers to become the gatekeepers of literary and scholarly merit was not unexpected. Theirs was an intermediary role that developed with the expansion of the modern, capitalist economy in a manner much like it did for lawyers, bankers, accountants and many other professions occupying such an intermediary position. As such, by leveraging their position, they enhanced their power and wealth (indeed, one might argue, they functioned and flourished as parasites). Moreover, with the democratization/impoverishment of authorship, increasingly it was publishers who took on the financial (and sometimes political) risk in publishing a work, and who therefore earned the right and power to say ‘no’ to works offered to them. Their authority increased accordingly. Parasitical or not, academic publishers cannot be simply regarded as leeches on the body academic, drawing off vital fluids to feed their shareholders and rejecting good honest scholarship in the process. Publishers actually add value to the academic books they publish over and above the value of the work. Not only do they act as gatekeepers to select the best texts (as discussed earlier) but also they improve these texts through their own editorial efforts (and those of freelancers), dress them up in a form acceptable to readers (whether as printed books or electronic content), provide them with a voice and a route to market, and handle all the practicalities of matching supply to demand. Looking at the situation coldly and clearly, I cannot but conclude that publishers are a threatened species, at least in their classical form. (Perversely, it is another matter for me to transform such rational pessimism into actual belief, however, let alone emotional despair.) This is because our role is challenged from almost every quarter. Times are hard. The terminal decline of the library market has led to a collapse in sales of the traditional monograph in recent decades. Independent bookstores (and now even the chains) are in deep financial trouble, unable to compete with the discounted prices offered by supermarkets and the online behemoth, Amazon. There are too many books chasing too few readers. And, last but not least, university presses are hurting badly as their host universities slash financial support in reaction to the global economic crisis. The business model is eroding. Copyright – which has been the basis of publishing in that it assigns exclusive ownership to a work but allows for dissemination under licence – is under attack from all sides. Alternatives like Creative Commons licensing certainly free up the dissemination of knowledge but don’t seem to provide an economic return on authorship. Indeed, the growth of e-publishing and push for adoption of Open Access make it harder for the traditional publisher to survive and thrive (to consumers, e-content equals free content). The product is at risk. The book and its sibling, the journal, have long been academic publishing’s basic product. The book especially is under attack, its death continually predicted. It is not merely that the printed book or journal may be supplanted by the e-book and e-journal whose e-content is difficult to earn money on. But also with the internet revolution we see a move towards bite-sized scholarship that deconstructs the book while new forms of authorship are developing that are inimical to anyone (except maybe the author) making any money from their output. Publishers are losing authority. As recounted in my earlier post, stories are emerging in public of cronyism, arrogance, blunders, short-sightedness, poor judgement, and much more in the publishing world. Worse, perhaps, is the growing disconnection between author and publisher. How this is causing problems in quality control is discussed here but the rift is wider than that and risking greater damage. This is especially so in general trade publishing where the only link between publisher and author is via an agent (and today even that tenuous link is weakened by the rise of ‘author’ websites whose sole purpose is to more easily identify the talent and filter out all other authors, all 99.9% of them). It would not be surprising, then, if there were a gradual erosion of trust, respect and even liking for publishers by authors. Old measures of quality are being questioned. One of the main arguments in favour of the traditional model of academic publishing is that it entails a reasonably impartial assessment of scholarship and confers academic legitimacy on those works published. However, as will be seen in my next post, new forms of peer review are emerging that challenge the established model. The publisher as gatekeeper is at risk of getting the sack. Publishers face new rivals. Librarians are often seen as fusty creatures wearing cardigans and concerned to keep the noise level down. In fact, however, librarians have responded far more quickly and creatively to the information revolution by offering access to the explosion of gray literature (unpublished and semi-public material), often via specialist portals and other internet-based tools. And with Library 2.0, they are beginning to publish such material in their own right. The dividing line between publishers and librarians has blurred. Now even bookstores and printers are getting into the act by offering tools and services to authors that make self-publication much easier. The self-publishing rebellion is growing. Although the numbers of self-published authors are small and they are mainly found writing fiction, not scholarly works, the rebellion has impetus. Worse, the type of author attracted to self-publishing is often secure in their tenured position and more experienced as an author – in other words, the best and most profitable type of author as far as many publishers are concerned. Self-publishing thus poses a real threat to the future viability of academic publishing as it exists today. Given such serious challenges, one would have to admit that the prospects are bleak for the traditional academic press (and all other publishers, in fact). What responses can be made to this situation? More of the same. This seems the response of some publishers who, by price rises and cost-cutting, seem to have entered an endless spiral of declining value for money. It will be interesting to see just when this devaluation actually becomes plainly visible and publicly discussed by academics. Cover the decline at home by expanding into adjacent markets. This was the response of NIAS Press, a small but significant European publisher in the field of Southeast Asian studies but whose sales focused on the European and North American markets were sluggish. The press improved its financial position (and global visibility) by starting to sell locally in the Southeast Asian academic market, which otherwise is largely ignored or underrated by Western publishers. Diversify from print into electronic products. Every publisher is doing this. The problem is that digitization is not cheap and (as far as we can gather, given that publishers are coy about giving out real hard data) the income earned to date from e-sales has been negligible. Moreover, it is still unclear if this e-content is boosting or cannibalizing the crucial print sales. Publish in electronic form only (or in combination with print on demand). A few presses have taken this route but there may be questions about motivation. For instance, Rice University Press was brought back from the dead but one may wonder if this isn’t to showcase the open-source e-publishing platform, Connexions, which is owned by the university. After the failure of its traditionally organized Pandanus Press, the Australian Nation University has launched ANU e-Press, but only with a hefty government grant. And the recent decision of the University of Michigan Press to go digital (and we should note in partnership with the University of Michigan Libraries) may well be a response to the effects of the current global economic recession; as noted above, other presses at least are suffering severe budgetary cutbacks from their host universities. On the other hand, the launching of Bloomsbury Academic as an Open Access publisher was born out of hopes for profit, not as a response to economic hardship. Flush with the riches of being the originating publisher of the Harry Potter series, Bloomsbury launched its academic list by buying up a few small quality publishers like Berg in Oxford. They are narrow and deep. They have established a brand that trumps, or soon will trump, the formerly established brands in their niche. They built an “Internet-first” model, but they have a “spinoff” print product that is a major contributor to their revenue. Change job from gatekeeper to facilitator. Taking on the role of a committed participant instead of a neutral umpire might be irresistible in certain types of advocacy publishing. Whether it is feasible in academic publishing is another matter. Personally, I hanker after the authority and self-respect that goes with my self-vision of being a publisher. In short, the situation of publishers today is not a comfortable one and their future isn’t exactly rosey. As a result, some scholars at least may well judge that self-publishing offers them a better means to advance their career than does the old, conventional, publisher-based route. The mechanics of self-publishing are relatively simple today, as shall be seen in a follow-up post, but there remains one tricky issue for academic authors still to be resolved: how to guarantee the quality of published scholarship and hence receive the stamp of quality and approval that a scholarly press confers on its books. This shall be explored in my next post. To subscribe to this blog via RSS feed, please click on the RSS symbol beside this web address. How much can you change at proofing?